Klassique is a national champion in show hack and is used at Sarabande for intermediate lessons and some beginners. He is an amazing teacher and loves his job! 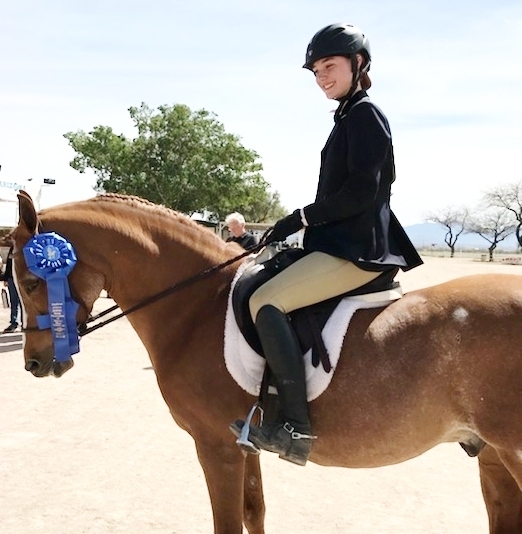 Sarabande has a Saddleseat program and klasssique is one of the horses used to teach beginner saddleseat riders how to properly hold themselves and how to ride a horse with a bigger trot. Davinia is a region one park pleasure champion and has been part of sarabande for 15 years. 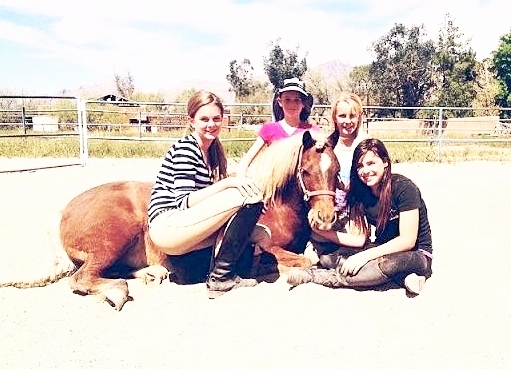 She has taught many riders how to ride and has given them the confidence they need to move on to more advanced horses. Davinia is now used for beginner lesson and is an amazing member of the sarabande family. Sugar is a nation champion in show hack and has been graciously leased to us by Alexandra Vinck. Sugar is used for more advanced riders because she is a powerhouse and can be intimidating to inexperienced riders. Once you get the feel for sugar she will do anything you ask and is an amazing confidence booster. Scooter is the newest member of the Sarabande family. He was owned by one of our Sarabande alumni. Scooter has shown in the open English devision and western. Bragg is privately owned by Jamie Boehmer. Bragg has shown in the fine harness division and the park pleasure division. 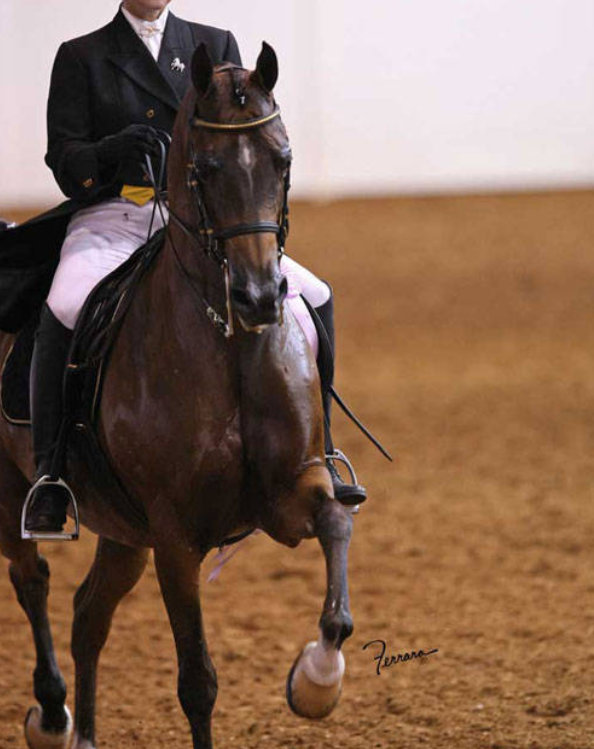 Dana is a saddlebred mare that has shown in the five gaited division. She was being used for lessons but is now Pregnant! she will have her foal in February of 2018! Jazzy has been a member of Sarabande since 2016. We have used her for advance lessons as well as beginner. She is very versatile and has been a confidence booster for our hunts eat riders. Micky Is a huntseat horse and is used for beginners and advanced students. He is very mellow and loves what he does. He lights up when his riders come to get him from his stall. Pistol is another huntseat lesson horse. He is used for more advanced students because he is just learning how to be a riding horse. He was used to pull carts prior to sarabande being his home and he has done amazing with his saddle training. Pocket is a pony and he is used for our little breeches lessons. He loves the little ones because they make him feel big. He is very docile and is great with the little kids! Pixi is used for very small kids to ride and she helps build confidence. She is a miniature horse and because she's so small she's less intimidating to children that may be apprehensive around horses. Dante has been a part of the sarabande family for quite some time, He is now owned by one of our students that fell in love with him. He is trained in first level dressage and he has some Spanish training.